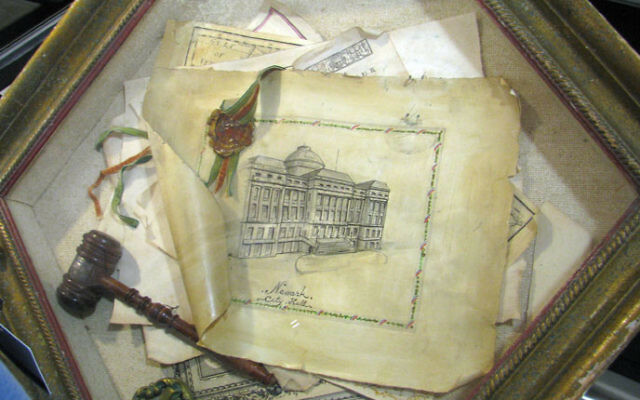 As the nation observes Jewish American Heritage Month in May, the Jewish Historical Society of MetroWest is unveiling some rare treasures providing a picture of a key New Jersey component of that heritage. Most of the materials on display in the exhibit “A Glimpse of Jewish Newark: The Immigrant Experience, 1844-1953,” “are unique to our archives,” said Linda Forgosh. “If it has to do with Newark or Jewish history as it spread from there to the suburbs, this is one-stop shopping,” said the JHS executive director three days before the May 2 opening of the exhibit at the Aidekman campus in Whippany. The photographs and other items on display in the campus atrium reflect a broad-based look at a once-thriving community. They recall the vibrancy of such places as the synagogues that were once prominent in the city — Oheb Shalom, B’nai Abraham, B’nai Jeshurun, and Tifereth Israel — to popular purveyors of Jewish cuisine like Samuel Armm’s Kosher Restaurant and Tabatchnik’s Deli. The diversity of images include those of the city’s public baths where community members went for a “shvitz,” a calisthenics class at the Hebrew Orphans Asylum, a dance for new immigrants, and a group portrait of students from the Avon Avenue School in 1919. 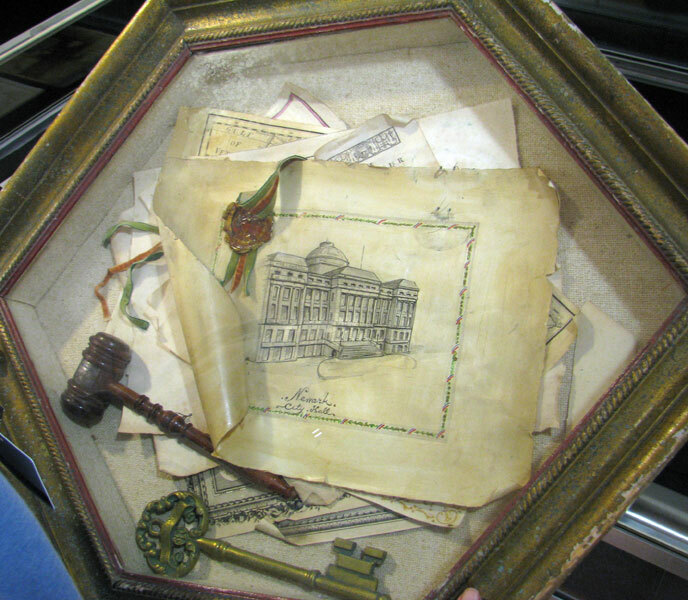 One major portion of the items on display was assembled from JHS archives by Jennifer Winkelried, a Short Hills resident who presented them last May as her senior class project at Union College in Schenectady, NY. She divided the memorabilia into categories — clubs, groups, communities, economy, and religious worship — that survey the community reflected in the exhibit’s title. In a separate showcase, Forgosh has displayed a collection of sashes from a Jewish burial society, the International Order of B’rith Abraham, which included some 200 lodges that managed cemeteries throughout the United States. “Wherever Jews needed cemeteries, they were the central organizing factor,” Forgosh said. “Someone who was very active in the IOBA came to our annual meeting last year with sashes from the Admiral Sampson Lodge No. 192,” which was based in Newark. The exhibit will run until June 26, sharing space in the atrium with the Gaelen Invitational Juried Art Show. Forgosh suggests that people wishing to take a tour of the exhibit make appointments by contacting her at 973-929-2994 or at lforgosh@jhsmw.org.